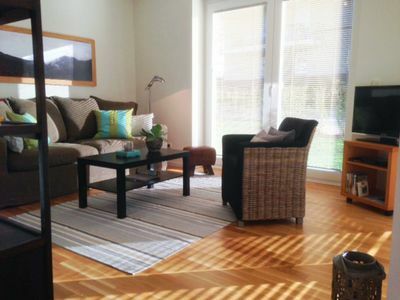 "Heidenholz" Newly built, furnished in modern style 1-room-apartments (60m²;. 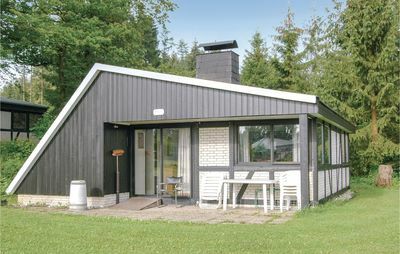 1-4 pers) with a covered terrace. 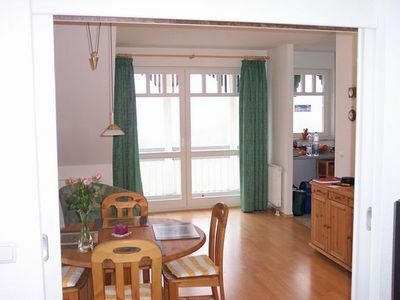 This house has an open living-kitchen with table, oven, 4 hot plates, refrigerator, coffee maker, kettle and toaster. Satellite TV (flat) and coffee complete the living area. The open sleeping loft with two double beds for 4 people is located upstairs, under the roof. Note: very steep stairs for toddlers not necessarily suitable! Shower / toilet on the ground floor. At home: cozy barbecue and seating area with garden furniture (table, chairs and barbecue. Parking directly at the property before the House. 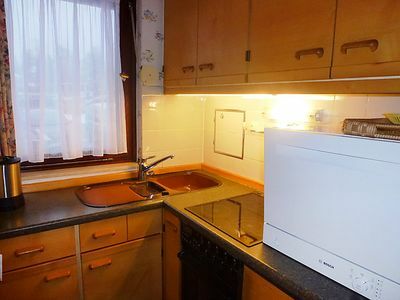 In total tour price: electricity, water, heating. Sheets and towels. Carport parking space. Non smoking: Accommodation is non-smoking, smoking allowed outside Pets: are not allowed. 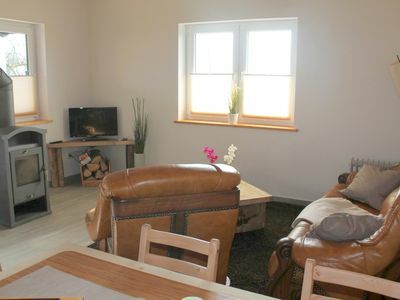 Farm in the countryside with two residential units Family-friendly 2-room apartment in a farmhouse on the ground floor and newly built 1-room holiday home on a large, freely situated 5000m² plot in the small hamlet Brusow near the small town Kröpelin in rural and quiet surroundings. 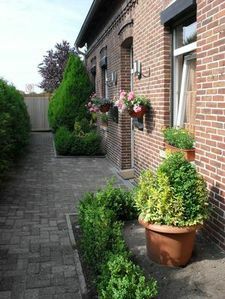 General Information about accommodation: 2-room apartment: Non smoking, pet-free, on the ground floor of the farmhouse. 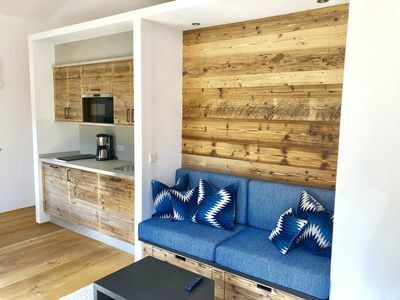 With 1 living room with sitting room (Extra bed with 1 folding bed possible), fully equipped open kitchen, 1 bedroom with double bed and single bed. Shower / WC. 1-room-apartments: Non smoking, pet-free. 1 open plan kitchen-living room with couch and dining table. Shower / toilet on the ground floor under the roof: 1 open sleeping loft 2 double beds (maximum of 4 people.) .Note: Very steep stairs to the mezzanine, for infants not suitable! 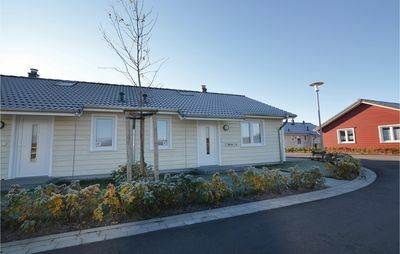 XXL - 2 x 2-room housing units: two lodgings together, see equipment up! At home: ducks and chickens, horses, pigeons, rabbits, dogs and 4 from time to time a pig are at home here. Various Barbecue (z. B. Fireplace grill) and garden furniture for all guests. Parking directly at the house for free. Location of accommodation: The Town Kröpelin lies between the Hanseatic cities of Wismar (34 km) and Rostock (26 km). 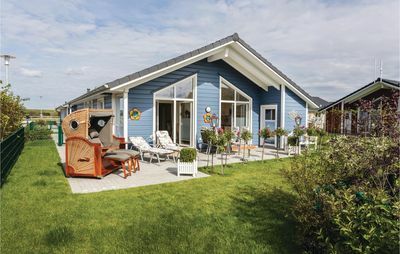 Furthermore load (14 km) and Kühlungsborn (10 km) and the spa resort of Bad Doberan (9 km) for excursions in the surrounding area, the seaside resorts Rerik. Baltic Sea beach: Experience the max. 15-minute drive away resorts of Kühlungsborn and Rerik with its wide white sandy beaches, piers, beach promenades, restaurants and cafes, shopping mile, theater, water sports center, supermarket, post office, bank, gas station, golf course. 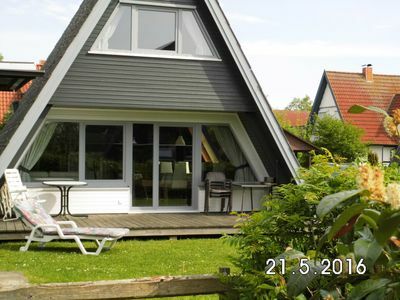 These extend over several kilometers and also offer naturist sections and dog beaches. 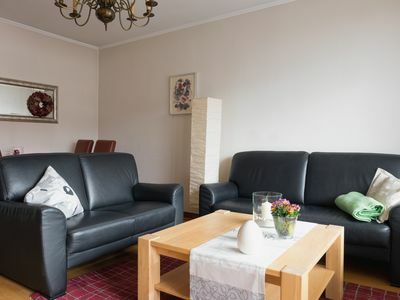 Leisure at the resort: In Kröpelin (3 km) you will find everything for your daily needs shops, supermarkets, post office, hairdressers, petrol stations, bakers, butchers, restaurants, pharmacy, etc. An excursion destinations there are a variety of ways around Kröpelin. Here are a few suggestions: - Molli railway in Bad Doberan (9 km) - Münster in Bad Doberan (9 km) - the zoo in Rostock (26 km) - adventure and leisure pool Wonnemar (34 km) - Charles strawberry and adventure village in Rövershagen (38 km) in the total tour price: electricity, water, heating. Bed linen and towels as well as parking. Pets: are not allowed in both accommodation! Other: riding for children is provided by the owner on request (payable. Fee).